Crisalix presents two new and innovative options, the possibility to print any 3D simulations you make from the app from Crisalix. And, in addition, with the sensor it is possible to get a 3D image of the body. 3D printing: increase patient satisfaction and interest to the surgery by printing their new face, breast or body directly from your Crisalix application. 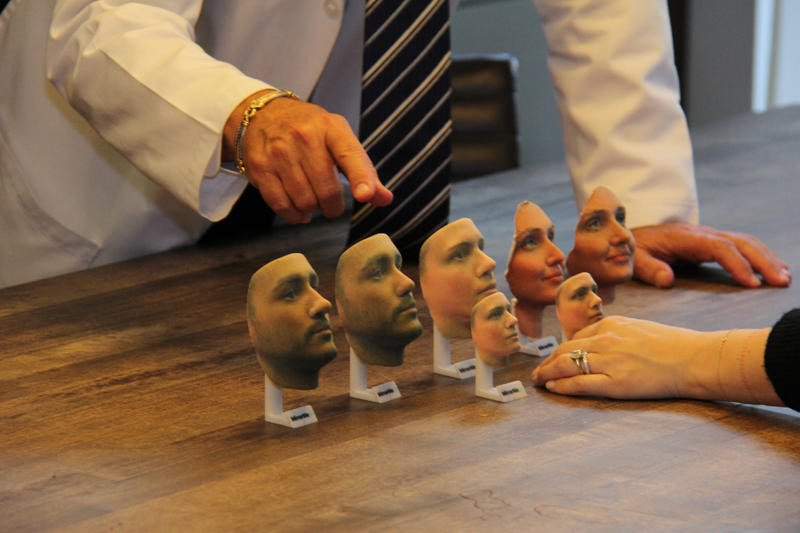 Printing is done through MirrorMe3D and will be shipped directly to your patient or your clinic. 3D body imaging: with the iPad sensor, simulate lipo, abdominoplasty, buttocks, flanks reductions, legs & more through simple/user friendly 1 click sliders. Show any patient their before and after in 3D with either anterior, posterior or 360° imaging and calculate the volume variation.